There is an editorial error going back to the Review. Under the Clan Matheson entry, a super picture of the ship, but the posting from the 1975 Review states this is the first mixed cadet unit. The first refers to A. Bloor, the first Engineer to be a Training Officer, and not to the cadets. I had the first mixed unit of 5 Deck and 6 Engineer Cadets on the Menzies, sailing from Birkenhead on 30th August 1969. The crew list shows the deck and engineer split. I also note as an aside that this was Author John Guy's first trip. It would have been interesting to know how that combination worked. During my time, the engineer cadet's practical work in the engine room was directed by a combination of the Chief and Sen. 2nd. Engineers. Did Mr. Bloor find himself directing the overhaul of derricks sat aloft, or swinging around on the end of a bosun's chair? I suspect the Chief or 2nd Officers were lumbered with additional workload? 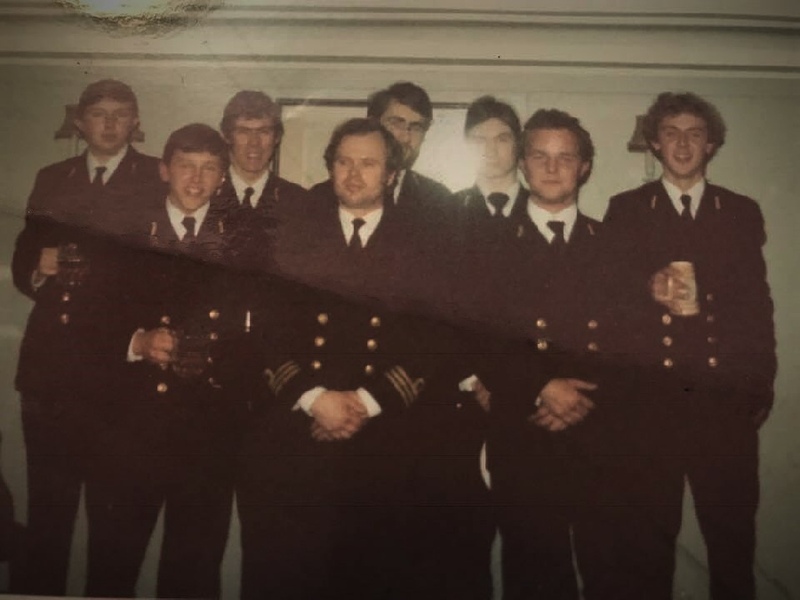 From left to right: Steve Harris, Mark Stevens, Colin Williams, Howard Jones Cadet Training Officer, Jim Sweetman, Ian Shillito, John Hosty and Pete Whittle.